Subject like Pharmacy demands practical knowledge in the own field. Thus industrial training program is one of the most important parts of a students studying in a dynamic subject like Pharmacy. For gathering complete knowledge about pharmacy there is no alternative for In-plant or industrial training program which has to be accomplished by every student of pharmacy after his/her final year (B.Pharm.) examination. This training is conducted by the pharmaceutical industries in our country. By this training, each pharmacy student can achieve vast experience; can correlate the theoretical knowledge with the practical experience. Thus he/she can develop him/herself completely for pharmacy related job. To take part in such type of training program I have been selected for The Beximco Pharmaceuticals Ltd. 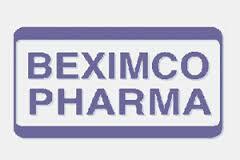 The Beximco Pharmaceuticals Ltd. is the leading pharmaceutical company of Bangladesh. This company manufactures product not only for the market of Bangladesh but also for the international market because they manufacture products having higher quality. They maintain cGMA in the production area and also they have well developed SOP. Besides they do IPC properly that is very important thing for manufacturing quality products. Beximco Pharmaceuticals manufactures a range of dosage forms including tablets, capsules, dry syrup, powder, cream, ointment, suppositories, large volume intravenous fluids, metered dose inhalers etc. in several world-class manufacturing plants, ensuring high quality standards complying with the World Health Organization (WHO) approved current Good Manufacturing Practices (cGMP). My training program was from 18th July to 2nd August,2010. During this period I have visited & worked in every section under the direct supervision of related officers. Recruitment of personnel: one of the most important jobs of the HR department is to appoint personnel having appropriate qualification as well as experience to fill the position that have an effect upon the quality. In so doing, different kinds of standards are considered for different positions. Prepare monthly manpower statement: The HR department has to prepare the monthly manpower statement of the plant by the 5th of every month. It includes DL to the Director. To add to this, it also prepares the daily manpower statement. To maintain and update personal files: One of the outstanding jobs the HR department is to maintain and update personal files of all employees of the industry. Confirmations of jobs, promotion, transfer etc. are included in this file. Informing policies: The HR department generally informs the managers and employees regarding personal policies and procedures of the company. Coordination of performance appraisal: This department coordinates and monitors performance appraisals of plant employees. The process of evaluating of performances is happened in many methods. Asses training: The HR department generally asses the training needs of personnel in light with cGMP (current goods manufacturing practice) and others related HRD issues. The training also includes- GMP, Safety, and Laboratory standard and workplace environment in the pharmaceutical industry. To arrange induction training programme: To arrange the orientation program that is arranging induction training program for the new employees of the industry is the job of the HR department. As soon as each employee joins, she or he is introduced with the entire department and he is also taught the functions about the operations of the company. Preparing and arranging in plant program: The HR department prepares and arranges the in plant training programs for the students of different universities. This is an extra typed job of the department and to do this all kind of coordination is done by the department itself. Dealing with industrial related issues: Generally the industrial related issues such as negotiation with employees union, ensuring the labor rights etc are done by this department. Ensuring proper implementation of Labor Law: This department one of the main jobs is to ensure the proper and exact implementation of the Labor Law that is applicable to the factory workers and the employees. Taking Disciplinary action: This department has the right to take any kind of disciplinary action including punishment, suspensions and termination from the job. Supervise official works: To supervise and monitor the attendance of the employees, job cards regularly and prepare monthly summary and daily absent reports etc are the jobs of the HRD. Ensuring safety: To ensure the safety of all employees and company assets as well as ensuring proper security management of the plant are the jobs of the HR department. Handling visitors: The work of handling external visitors and arranging all necessary uniforms and other accessories is done by the HRD. One of the agenda of the Human Resources Department is continuous development of the employees so that they can cope with the rapidly changing business environment. Innovation is a major priority that they want to promote. Accordingly, training programs are regularly undertaken for the staff to seek opportunities for skills improvement. Employees of BPL are participated in various training programs both external & internal. There are six induction training for the field force, four in-house training & two external training for employees of the Head Office during this period. Factory personnel also attended in-house training programs of total 206 hours duration. All persons engaged in manufacturing directly and indirectly. Issuing of BMR & BPR: The department of Production Planning generally issues BMR and BPR. If planning finds that change is essential or needed in BMR and BPR, it would do consultation with the Product Development for its desired change. Ensuring the availability of raw and packaging materials: For the smooth and favorable production, the planning has to arrange all kinds of raw and packaging materials by doing discussion with the Head office of the company. Arranging Sample for Physician: The physician sample will be separated from the bulk production by the department of Production as the order of the Planning department. Arranging products for the foreign market: one pf the important job of the planning department is to arrange supply the products to the foreign market. Co-ordinate all departments for smooth production: Planning also co-ordinate different section of the company to have highest production level within lower total cost and minimum time. Comparing man-hour and achievement: Planning also compares man hour and achievement, and by this they know the real efficiency and effectiveness of man and machine. Keeping reports and other documents of daily production: The department of Planning also keeps all kinds of every days production reports. Besides, they also maintain the major documents. Submitting the monthly reports: It is the duty of the panning department to submit the monthly production report to the ED, works at the end of the month. Day wise machine utilization: The planning department has to create daily machine utilization statement. If any complexity arises in the machine utilization, they have to immediately in form the higher authority. From the above discussion it is visible that a Pharmacist who works in the Production Planning Department of the company has to such kind of multistructured works that require proper sincerity, care and effectiveness. In the Quarantine area raw and packaging materials are preserved for the approval of the Quality Assurance Department. In the Released area raw and packaging materials are preserved here with great safety and care which are approved by the QA. This area is the heart of the ware-house. Raw materials, packaging material and finished products that fail to get approval from the QA are retained with a lot of security in the Rejected area. In the Finished product area generally finished products are installed here for distribution in the market. In the Cold Storage area those products are kept that are heat sensitive and flammable materials. Arrival of materials: Raw & packaging materials arrive at the factory premises by different Supplier with two copies of delivery challan & invoice. Invoice checking: The concerned authorities of the warehouse verify the invoice & accordingly they will check whether the shipping mark is logged on the container or not. Physical inspection and receipt/Discrepancy report: After completing the physical inspection of the raw materials, the materials are received on the basis of SOP if there is no discrepancy. Quarantine storage: Raw and packaging materials are stored in this stage before the checking by the QC and approval from the QA. Log book entry: To entry the actual received quantity of materials into the log book and copy to MIS Department, Shipping Department, Production Planning (Factory), Warehouse. MRR for imported items: After receipt of materials, MRR is completed & the quantity of materials undergoes computer entry to the final stock. Three copies of MRR send to Shipping Dept, A/C Dept, and Warehouse. QC sampling: Warehouse authority will inform the QC for sampling and after doing sampling and analyzing the QC will send the report to the QA. QA release / reject: On the basis of QC analysis & pass report QA give ‘released tag’ on each & individual container or box. If the material fails to pass QC test, QA give rejected tag on each and individual container or box. MRR / Failed MRR: Send copy to A/C Department, Shipping Department, and Warehouse. Disposition Of released / rejected materials: Released materials are placed in the released area for dispensing and Rejected materials are placed in the rejected area until further decision for final disposition is made. Dispensing: Only the released materials are dispensed as per requisition of production department following respective SOP. Distribution: Most of the dispensed materials are carried and supplied to respective department by Warehouse personnel. Computer entry of requisition: Inventory updating is done by computer entry of issued requisition and copy to e-mail for users. Monthly inventory report: Monthly updated inventory report is sent to MIS Department, A/C Department, and Purchase Department. Export Order: Having information from international marketing department with Invoice, packing list and export permission issued by Drug Administration. Apply to custom: To apply for export to customs office with Export from duly filled by Warehouse invoice, packing list and export permission issued by Drug Administration. Delivery to C&F agent: In presence of custom inspector materials delivered to C & F agent. Receipt of airway bill: International marketing department send airway bill for necessary information & action. Submission to custom: Paying the air way bill to custom office with monthly return. After reaching the raw material in the warehouse, the QC officer does the sampling of the raw materials in the sampling booth. Sampling is done by a sampler that consists of three parts- upper, middle and bottom. The sampling is done on the basis of FIFO (First in First Out) system. For active ingredients, every container and for excipient, (Ön+1) containers are sampled (where n = total number of the containers). To check that only those materials that are approved have been brought to the dispensing area. To check that the area of dispensing is absolutely free from others materials. To check whether cleaning is done with IPA and savlon solution. To check that correct quantity and approved quality of materials are being dispensed as per requisition. To heck that materials come first are being dispensed first, to follow FIFO (First In First Out). To keep warehouse free from attack of insects and rats, some insect or rat killer devices are being used. To protect warehouse’s material from dust, the building is built in a systematic way such as the double door system. Raw materials and finished products are easily identified here with the help of an index which includes different code for different area also. Packaging materials in warehouse are kept or placed following Alphabetical order. To prevent segregation of the constituents in the powder mix. Compression unit: After granulation, the granules are compressed to form tablets of specific weight, hardness and thickness. Compression unit consists of six compression rooms. To improve the pharmaceutical elegance of the product by use of special colors. To mask the unpleasant taste, odor, or color of the drug. To control the release of the drug from the tablet. To protect physical and chemical protection for the drug. To control dust of the tablet. Change distance between spray guns and surface of tablet bed. Moreover working experience may help to get quick salvation. Packing can be defined as an economical means of providing, presentation, protection, identification/information, containment, convenience, and compliance for a product during storage, carriage, display and use until such time as the product is used or administered. After compression of tablets and coating [if required], the tablets are packed either in blister pack or in the strip. Research and Development Department plays an important and innovative role in every step to establish a new formulation, new dosage form, coating system and their development etc. Product Development also prepare recipe for the product, formulation order, manufacturing process, Batch Production on Record (BPR), and data, and development in commercial scale of a new product. This section always tried to give higher quality product with minimum cost. 5) Development of existing products. 7) Stability study of new product according to stability study protocol. 8) Preparation of sample for drug testing laboratories (DTL). Quality builds up and checks. Oral Liquid and Topical Preparation Area is one of the most important area in Beximco Pharmaceuticals Limited. This section involved with the manufacturing of products like antacids, non-antacids and semisolids. Area for antacid manufacturing, filling and Packaging. Area for non-antacid manufacturing, filling and packaging. Area for cream, ointment and gel manufacturing, filling and packaging area. Area for oral liquid products manufacturing. Area for oral liquid filling and packaging. Area for suppository manufacturing and packaging. Quality control department makes all types of chemical assay and chemical analysis find the result in terms of potency, presence, identity, stability etc. The persons working here are responsible for the quality of the products. This is actually the analytical part of the plant. Mainly for finished products, Quality Control Department performs stability study. Aim of this study is to ensure that all batches of the released products are maintaining within specification limits throughout their entire shelf life. Stability study is performed according to International Conference on Harmonization (ICH). An intermediate stability study is also performed at 30º C ± 2 º C temperatures and 65 ± 5% relative humidity. If 30ºC ± 2ºC temperature and 65 ± 5% is the long-term condition, there is no study required for intermediate condition. Microbiology section of Q.C department is performed microbiological tests. Microbiological tests cover two types of test, one is microbial limit test and another is bioassay of antibiotics. Total aerobic bacteria and fungal count. Microbial assay of raw materials and finished products. Germany37ºC temperature to support optimal bacterial growth. Document preparation, editing, control etc. Retention sample collection, archiving, monitoring, retrieval etc. Preparation of certificate of analysis for finished formulation and finished API. Establishing manufacturing methods and SOPs covering entire operations and their regular up-dating. Communication of every aspects relating to quality to all relevant persons for early positive action. Sterile products are very sensitive one and should be free from any viable microorganisms. As water is used as large volume raw materials in infusion preparation and this is directly inject to blood so purification of water for preparing Water For Injection (WFI) is very important. For this water treatment plant is a mandatory part of Infusion Unit. Autoclave: Autoclave is one of the most important area in manufacturing sterile dosage forms. In autoclave, sterilization is done at 106°C temperature at chamber pressure 2.1 bar and steam pressure 1 bar for 85 minutes. Capacity : 785 pcs 1000ml bottle / hr. QA department plays a vital role in infusion area. QA tests are performed in each and every step in manufacturing infusions. Providing quality, safe products is the main responsibility of QA department. Beximco Pharmaceuticals Ltd.has an independent engineering department for looking after production and utility machineries. Responsibilities of engineering department are to install, maintain, handle and solve all types of problems such as electrical, electronic and mechanical. Utility support is very much important for smooth operation of all production machineries. All the all production machineries are checked routinely (weekly, monthly etc) for ensuring efficient operation and minimum breakdown. Breakdown maintenance is done when any machine is out of control due to mechanical, electronic or electrical problem. We all know that Beximco pharmaceuticals Ltd. never compromise regarding the quality of the product. BPL follows the guidelines of the cGMP and maintenance the standards from the very beginning of the production procedure to distribution in the market & keeps record of all documents. That is why there is hardly any scope of rendering any suggestion for its further modification. Effluent Treatment Plant may be set up as early as possible though BEXIMCO Pharma already ensured the destruction of hazardous wastes safely in contract basis with icddrb. Opportunities for the trainee may be given to visit TRACK-II and MDI. Capsule polishing machine is needed to reduce manufacturing time. We hope Beximco Pharmaceuticals Ltd. will Manufacture Soft gelatin capsule. Beximco Pharmaeuticals Ltd. strictly follows the rules and regulations of cGMP. Beximco Pharmaeuticals Ltd. has got the TGA approval of Australia this year. Beximco Pharmaeuticals Ltd. is going to introduce small volume parenterals(SVP). Enough paste control device is available inside the plant. A separated Sampling Booth is available in warehouse where temperature, humidity, and pressure is controlled. Rejected materials are kept locked to reduce the possibility of mix-up with the released material. Hazardous wastes are destructed safely by the collaboration with icddrb. Beximco Pharmaeuticals Ltd. has a separated training department. Central Warehouse of Beximco Pharmaeuticals Ltd. is very large and well arranged. Quality Control department is well equipped. RD department is self sufficient for the development of new product. BEXIMCO Pharmaceuticals is the second largest company in Bangladesh. Though Beximco is a local company but they follow multinational culture. They also maintain a chain of command. After the 1982 drug policy, they go their own formulation and in a short period they acquired crown of success. In case of coating Beximco is the pioneer. They believe quality is first. And to ensure quality they have excellent facility and no. of experience & skilled personnel who are contributing for that. It has a wide range of product line such as solid, semisolid, liquid, ointment, cream, suppository etc. BEXIMCO Infusions and MDI have the best facilities and utilities than that of other production areas. These areas are highly specified and maintaining aseptic technique. MDI of BEXIMCO undergoes contact manufacturing with Glaxo Smith Kline (GSK).BEXIMCO Infusions operating a well organized water treatment plant “Pharmaplan” imported from Germany, which makes BEXIMCO one step ahead of other infusion plants in Bangladesh. BEXIMCO allays maintains GMP and cGMP over production areas. They have validated SOP, Process validation system, equipped Microbiology section, and cleaning procedure. They also have air lock system laundry for cleaning cloths and waste disposal system. BEXIMCO have Quality Control and Quality Assurance Department that are responsible for the quality of the product in every step of production phenomena. And their documentation is excellent. BEXIMCO Pharmaceuticals have Human Resources & Training Department, devoted to make skilled employee while engineering department is ensuring proper operations of machineries, electric and electronic equipment during production. Its safety measure for the employees is excellent. I had a strong desire to gather practical knowledge during my in-plant training from BEXIMCO Pharmaceuticals Ltd. is the leading pharmaceutical industry in Bangladesh. Its contribution for the development of national economy is well known. BEXIMCO Pharma having a pioneering role in exporting pharmaceuticals from Bangladesh. The plant layout of the Beximco pharma. Ltd. is excellent and well organized. They have large area and they can easily extension of plant if it is necessary. The 2 weeks in-plant training helps us to understand the steps of tablet coating, method of granulation, compression, Liquid filling, aseptic condition and much difficult topics of pharmaceuticals. During in-plant training, we got lots of co-operation from every people of every section and we delighted for their friendly approach. We satisfied and produto have the modern knowledge and practical experience from a well reputed factory like Beximco Pharmaceuticals Ltd. This practical knowledge will help us in my future professional life. 1. All Department of Beximco pharmaceuticals Ltd.
General Banking Division of Bank Asia Limited.